Home / How / How Can I Get Involved? Fab Lab will shortly be looking for people to volunteer their time for Fab Lab. We are interested in people who are helping others make things. You can expect to support staff at Fab Lab in the delivery of their programmes to groups and organisations, observe health & Safety requirements when users are in the space and assist users when in Fab Lab. There will be training available for suitable volunteers and in return volunteers will receive an opportunity to develop skills, learning and experience in the Fab Lab. Fab Lab is delighted to welcome volunteers to assist us in creating team of Fabbers' across Northern Ireland. We welcome people are who interested in helping other make things. 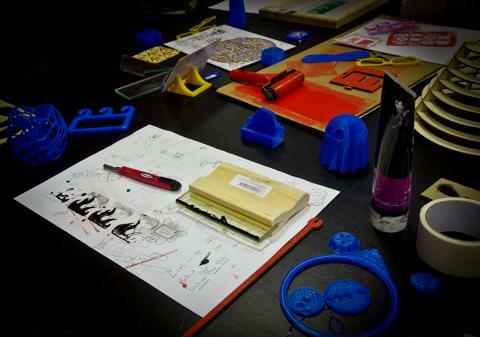 Help us ensure that users have support and assistance when in Fab Lab. Ensuring Fab Lab is clean, organised and a safe place to be. Gain learning from Fab Labs around the word including MIT. We currently require that Volunteers are aged 18yrs or over. You do not need specific knowledge of digital fabrication but interest, enthusiasm and a willingness to learn is essential.